Creating a harmonious look for your home’s exterior begins with the roofing and siding, but that’s only the beginning. The following projects can complement your home exterior, creating the ultimate harmonious look for your home. Trim Color — The trim is considered the third color that accents the roof and siding. The right choice of color or finish not only adds a cleaner look but also adds depth and definition. The best thing about replacing or repainting the exterior trim color is the low cost and relatively quick time to finish. To save on installation time and costs, consider including interior trim when updating your trim color. Landscaping — Landscaping is, by extension, a part of your home’s exterior. The right combination of plants, stone and other decorative elements can dramatically enhance the look established by your roof and siding. For example, if you’re after a beautiful autumn-themed color palette, plants such as American bittersweet and oakleaf hydrangea produce vibrant red hues that will be just perfect. A capable roofing and siding contractor can also help you choose the right exterior colors that go with your existing landscaping. Front Door – The best part of choosing a new front door color is that you can choose a totally different color than the rest of the house and it won’t look out of place. It helps to think of the front door as the “lighthouse,” meaning it draws your guests’ eyes the moment they step on the curb. For instance, a barnhouse-red front door would look perfectly at home with a dark roof and neutral siding. Deck – A deck is a great addition to your yard and connects your indoor and outdoor living spaces. Materials range from traditional wood to low-maintenance composites. Choose an open deck for a fully immersive outdoor feel or add an awning or some other patio cover to enjoy the outdoors no matter what the weather is. The combination of deck furniture, railing and patio doors can put the deck in harmony with the rest of the exterior. 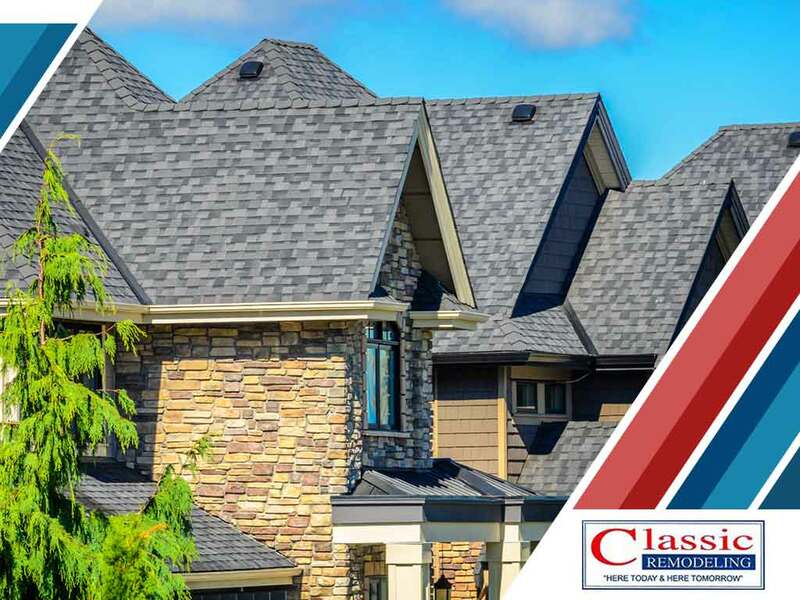 Classic Remodeling Corp. is the roofing company that can help you plan your next exterior remodeling project. To learn more about our services, call us today at (201) 228-9006. You can also fill out our contact form to schedule a free, no-obligation quote. We serve areas in and near Paramus and Hackensack, NJ.